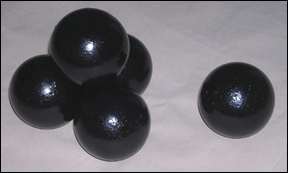 With a three-branched guard, the grip has spiraled grooves and is made of solid brass. The 25" blade has a single fuller 1/2" wide extending for 19 1/2" along blade. 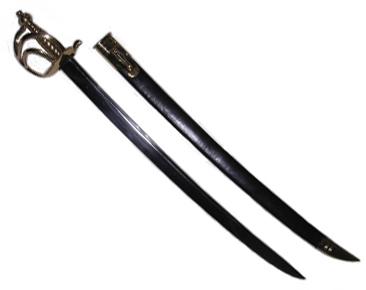 The width at hilt is a full 1 3/8". 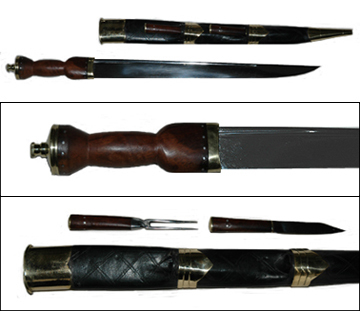 The scabbard is fine black tooled leather with brass mounts. 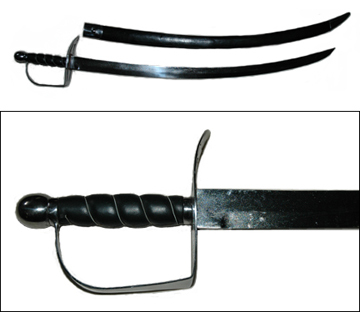 This is the issue sidearm of the dreaded British Grenadier, and this type with its slightly curved blade is one of the most commonly found hangers.